“However, two-thirds of Muslims do not adhere to these ideas,” the sociologist added. On the topic of the Charlie Hebdo and Hyper Cacher Islamist terror attacks, which took place in Paris in 2015, 32 per cent of respondents would not fully condemn the actions. Just under 25 per cent of the young people questioned said they consider certain violent and deviant behaviours legitimate (stealing a scooter, confronting the police, and taking violent action for ideological reasons). 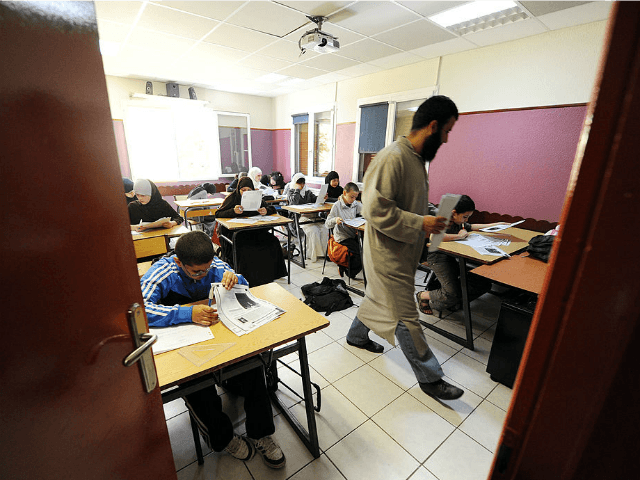 A third of Muslim schoolchildren (33 per cent) defended such actions, compared to 20 per cent of Christians, and 22 per cent of pupils who declare themselves as irreligious. 44 per cent of the students who were both classed as having fundamentalist religious views and who said they tolerate some forms of violence said it’s acceptable “in some cases in today’s society … to take up arms and fight for his religion”. 70 per cent of this group do not condemn the perpetrators of the Charlie Hebdo and Hyper Cacher Islamist terror attacks. “The spread of radical ideas is around three times stronger among young Muslims than in the sample as a whole,” said Mr. Galland. “But it is ultimately only a very small proportion: radical absolutism is far from being a majority amongst Muslims!” the sociologist emphasised. The CNRS also reports that secularism and gender equality were fairly widely recognised by respondents to the study, but noted that 64 per cent of Muslim respondents and pupils with an African background reject the idea that homosexuality is an acceptable lifestyle.